The ever-increasing pace of life has meant that the changes taking place in Dalmellington over the years have resulted in much of the old village being lost. Some of the heritage is unfortunately being forgotten. 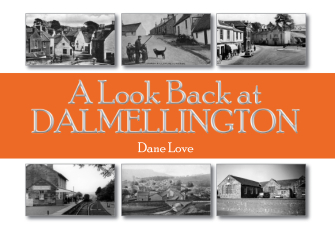 This little book takes a fond look back at the history of Dalmellington, through old views of the streets and buildings. However, not all that is historically important has been lost, and locals and visitors alike will find much of interest within, perhaps sparking conversations and igniting memories of the past. I’m sure that you’ll enjoy this look back at old Dalmellington, and hopefully discover something that you weren’t aware of. Part of the Look Back series.